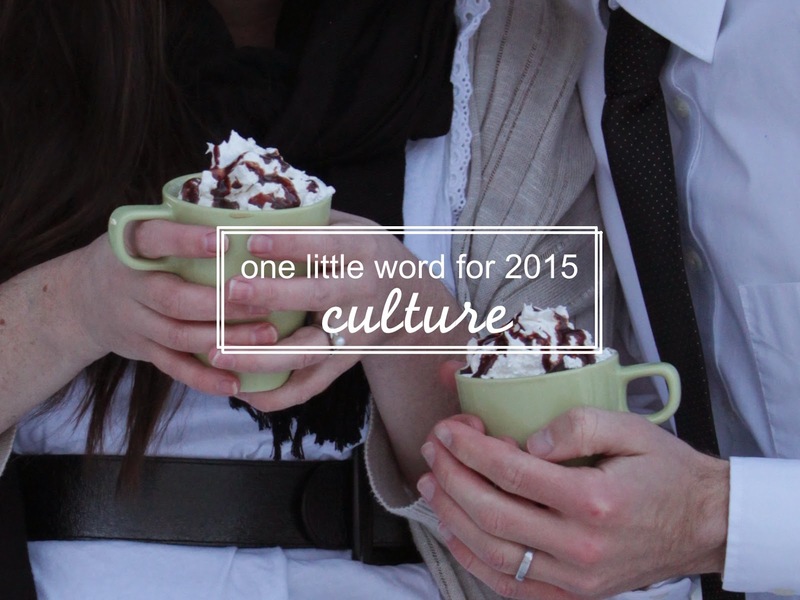 My guiding little word that I chose for this new year is culture. How fitting. Many of you know that me & the hubs are headed to Zimbabwe in March. That is so soon! While there we will be emerged in a different, foreign culture. We will be listening to and attempting to speak a foreign language. We will be eating foreign foods. Navigating foreign streets. & perhaps experiencing foreign emotions. That is pretty scaring & pretty exciting. & I want to jump right in and experience all that culture. That also means we only have two more months of experiencing American culture. & we want to make the most of it! Binge watching the Blacklist on Netflix. Drinking my favorite lattes at Starbucks. Game nights with family & friends. Watching Downton Abbey with the girls. I really have yet to fully flesh out this word & my thoughts & expectations from it. I did a little google search to find the definition, synonyms, & antonyms. Perhaps that will help me figure out different ways to incorporate this little word into 2015. I want to experience Zimbabwe, new adventures, love, & community. I want to appreciate & understand the ideas & values of the Zimbabwean people. I do not want to be ignorant of the Zimbabwean culture. I want to learn customs & folklore of the land. I want to allow the people their dignity through nursing & documenting. I want to become enlightened. I want to see improvement in my own life, in my marriage, in Karanda, in the world. I want to be cultured. I want to learn culture. I want to cultivate my own culture. I want to use my "better life to-do list" to cultivate my own culture. I want to investigate this word everyday this year & see where it gets me by 2016.